Kenyans were sure they saw a gun, but Governor Mike Sonko’s team wanted them to look closer, because it was nothing close to that. 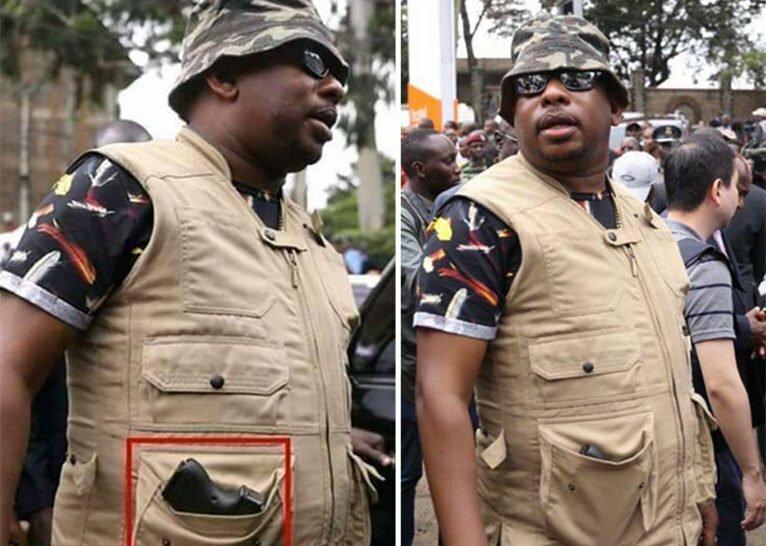 Sonko’s communications director Elkana Jacob has denied that Sonko was carrying a gun as shown by a photo doing rounds on social media. Jacob stated that the object Kenyans saw in the photos take after the Dusit D2 terror attack, was just a power-bank. 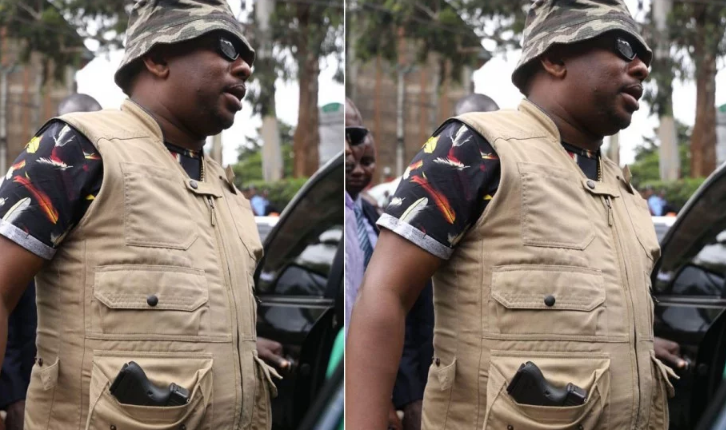 Kenyans took to social media to complain over Sonko’s “careless” handle of the fire arm. Despite Jacob’s statement that it was powerbank, you can clearly see it was a firearm. “If anything, the power bank belonged to me, and given I did not have an extra space to carry it in the bag or my pockets, I placed it in the governor’s jacket. I acquired the power bank while on tour in the United States some time back. So, I would confidently confirm to you that Mr Sonko was not brandishing a gun at dusitD2 Hotel,” said Mr Jacob.